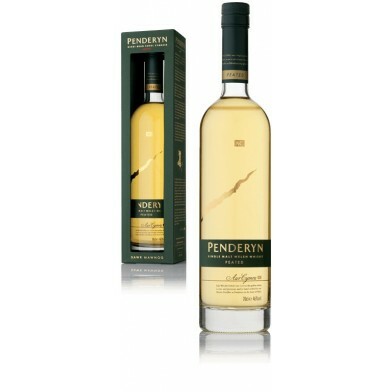 A new Penderyn casked in peated barrels, as opposed to the Madeira that the standard-issue bottle comes from. Initially a sweet, aromatic smoke. This subsides to release notes of vanilla, green apple and refreshing citrus. An array of gentle flavours tempts even the most sophisticated palate, while smoke and vanilla linger on the attractive medium length finish.